Danita Scott is a professional speaker, author, and personal development coach. 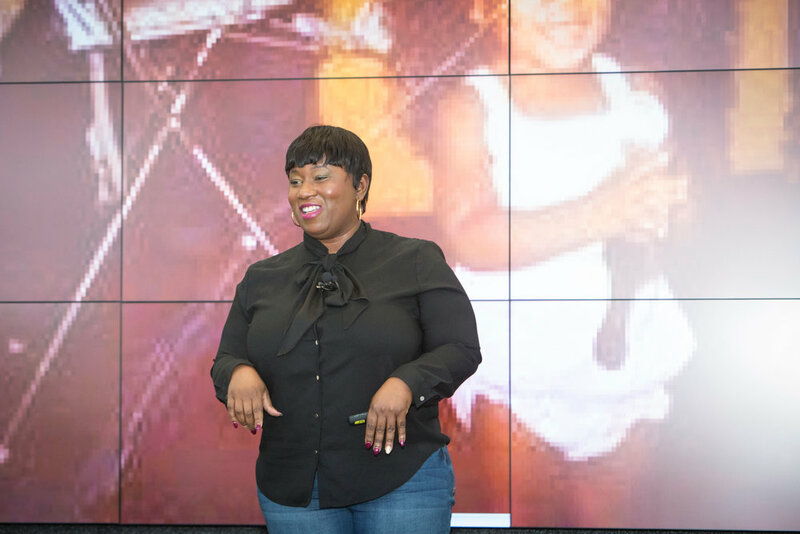 She is on a mission to empower women to execute their brilliance moving out of overthinking, self-doubt and perfectionism into personal excellence. Her professional speaking career is dedicated to helping women identify and interrupt patterns that hold them back from achieving their dreams. She is funny, relatable and honest about her successes and failures. Have you ever accomplished a major goal and still felt like “I could have done just a little bit better”? Do you often seek to achieve a perfect standard in your work? Are you eager to please others even if it means putting yourself on the back burner? Are you constantly waiting for the “right” moment to work on your dreams? If you answered "yes" to any of those questions, you are in the right place. As a former perfectionist, she can easily relate to all of these issues. Her battle with perfection started early in life and for many years perfection held her back from people, relationships, and experiences that mattered. Most importantly it kept her from being as productive as she desired in her personal life. She found the same factors that were holding her back were holding back her clients from reaching there highest goals. Danita helps her clients to identify their area of brilliance, develop a strategic plan to accomplish their goals and gives them the accountability/support they need to execute their dreams.